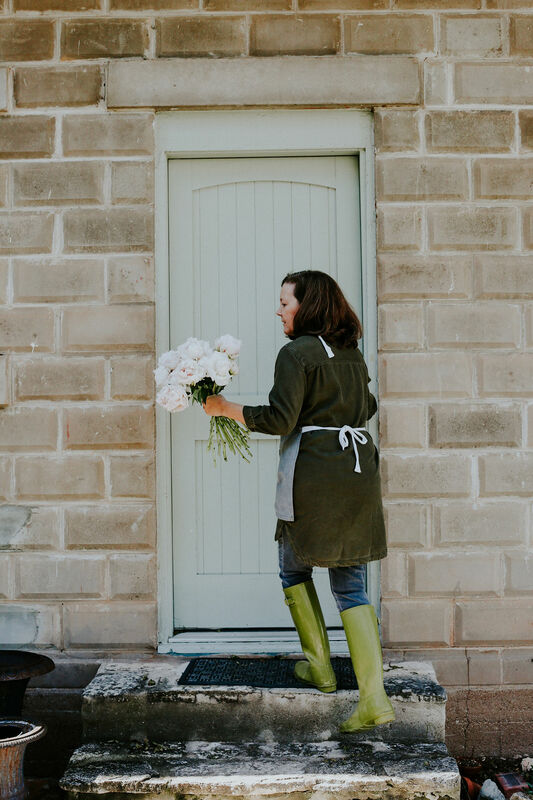 While there are a lot of growing pains and challenges that feel like the weight of them is all on my shoulders alone with owning my own business, there are also these huge wonderful moments that feel like total gifts. 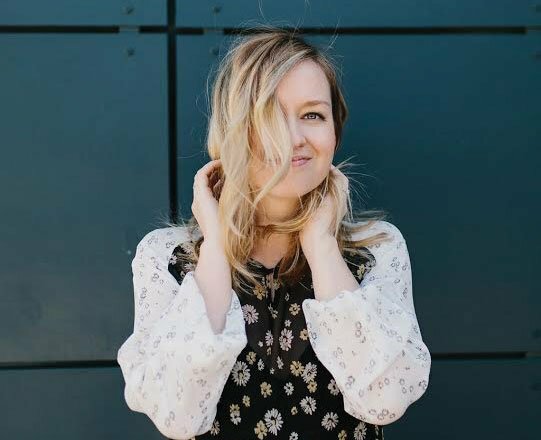 One of them is that being a business owner has allowed me to meet other business owners and it’s one of my most favorite things to get to listen to how other people got their start, run their businesses, and have overcome challenges. 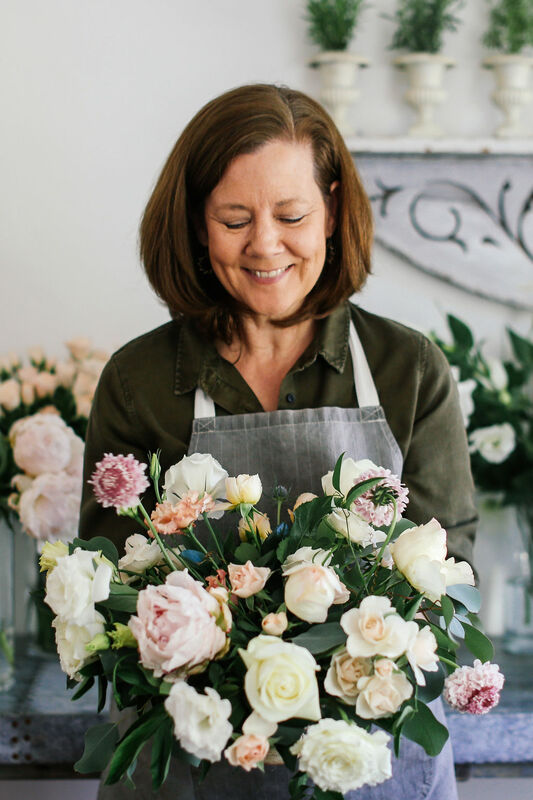 I loved getting to chat with Michelle about her floral design company, Sprout, and loved how many of the topics she covers– quality control and finding your unique place in the market, for example– are universal across so many industries. Keep reading for the full interview! Tell us about your background…How many years has it been since you started Sprout? What were some of the first steps you took towards making the idea a reality? Early on I was a school teacher. After teaching for several years, I was a bit burnt out and wanted a change. 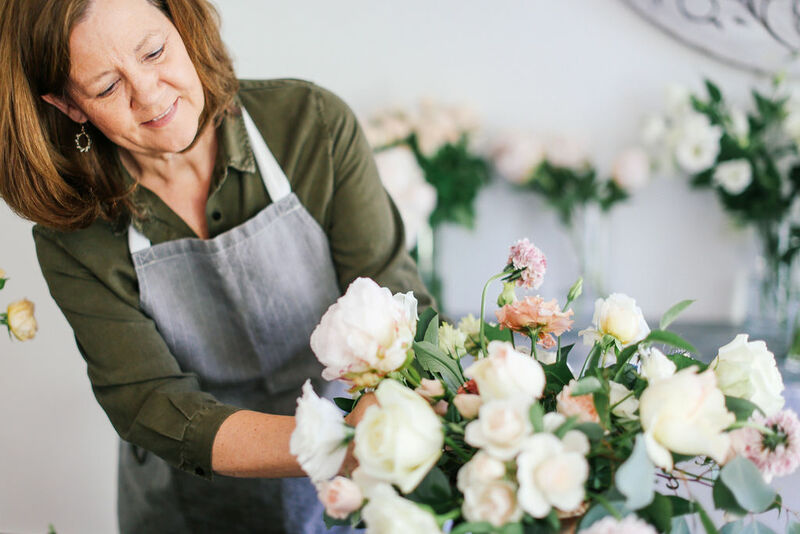 I remember thinking, “I’ve moved to a small town—surely I can make a living doing something I enjoy.” I actually started as a simple flower stall outside a local bakery. I had lived for a short time in England where there is a huge appreciation for gardens and flowers. I envisioned having a fresh flower market similar to what you see in most European towns. Although I was able to do this for a time, the realities of Texas weather led to the need to be indoors. I was able to find a wonderful space in a historic building just a block from Main Street where I had a retail flower and gift shop. 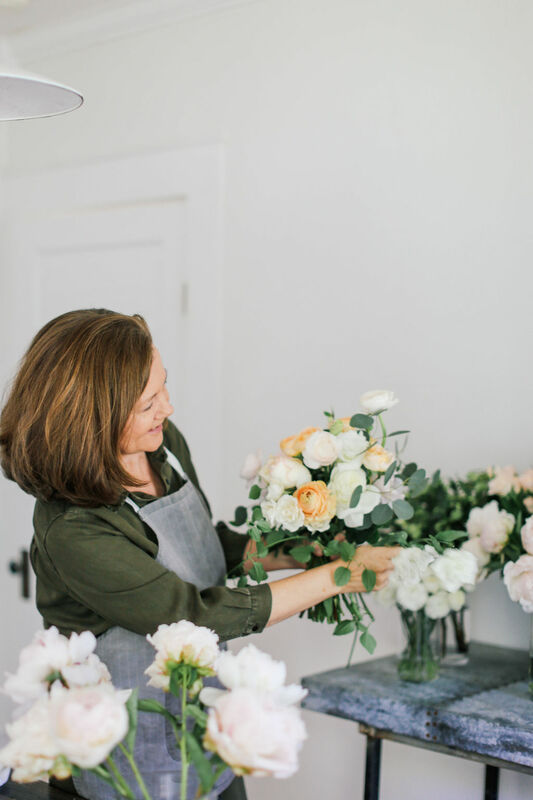 After 8 years in that space, the large portion of my business had become providing florals for weddings, so I closed the retail space and renovated a vintage garage on my property into a studio space. (Actually Tim Bobo, husband to Lara Bobo did the renovation!!) I now have a commute across my driveway, but can still leave it behind at the end of the day—although I’m always peeking in to make sure all is well! What’s the biggest challenge that Sprout has faced? How did you overcome it? I think my biggest challenge personally has been defining what I do best rather than trying to follow the trends that may or may not resonate with me. While every event may not perfectly align with my style, I find it helpful to define my strengths and go from there. I’ve studied under designers whom I admire and worked alongside others who share my aesthetic all in an effort to better understand my place in this industry. There is so much that businesses can do these days as far as marketing and getting the word out about their business. You can be on a host of different social platforms from Instagram to LinkedIn, you can partner with blogs and bigger media partners, you can hire a PR agency, and the list goes on. What things did you do that actually moved the needle for you and your business? Honestly, I find that effective marketing has been an ever evolving part of our industry. When I first began, Instagram was not even a platform. 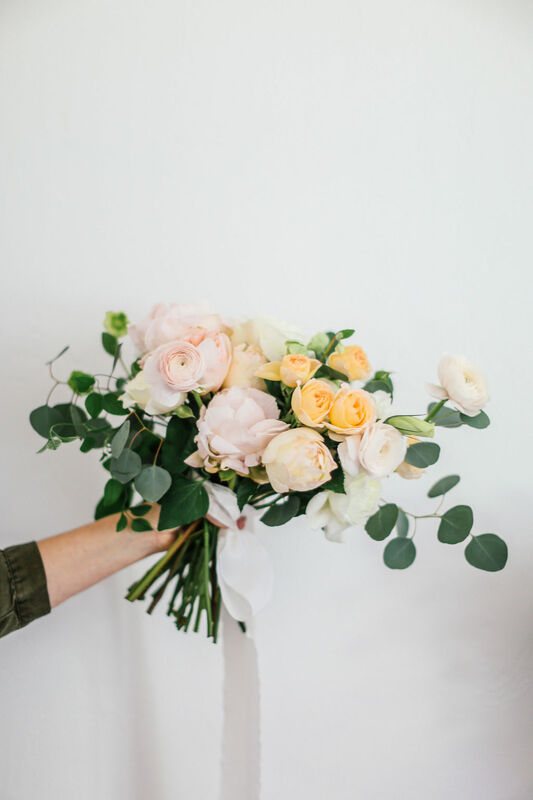 Partnering with wedding industry professionals—especially wedding blogs—was the primary channel for reaching prospective couples. These led to styled photo shoots which allowed fellow wedding professionals to collaborate and create beautiful imagery for your portfolio that really communicated your style. Instagram has been a game changer though—it’s now our portfolio. Brides often come to us straight from Instagram without even seeing our website. If someone is looking to hire you, what should they know about Sprout? What sets you apart from others in the industry? 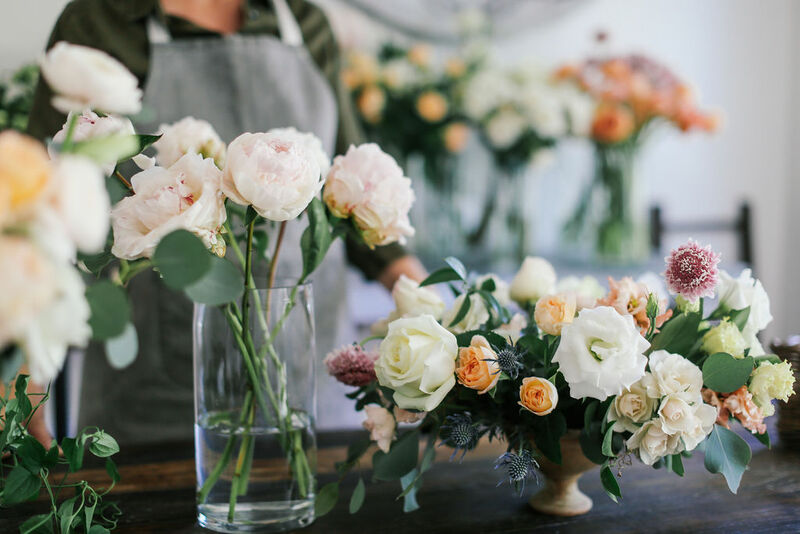 While I began with a flower shop, I no longer think of myself in that vein. I am a designer with a specific aesthetic which I would describe as elegant garden-style florals. I’m at my best when working within that aesthetic. I give a great amount of attention to the details—choice of flowers, color balance and quality control. I also believe it is important to remember the meaning of the day. My contribution is to celebrate that moment by helping to make it as memorable and beautiful as possible. 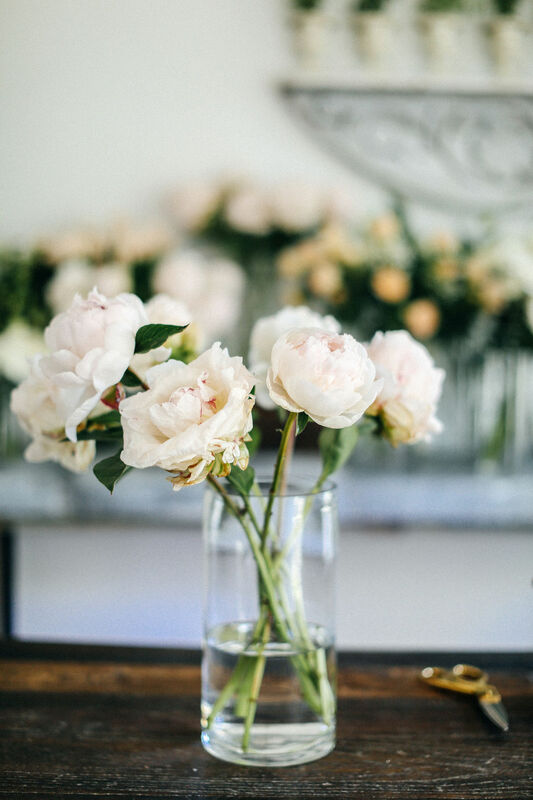 Flowers really do set a tone in a room and are such an instant mood lifter. If someone wanted to cultivate their own “boutique” garden, what flowers should they consider growing? 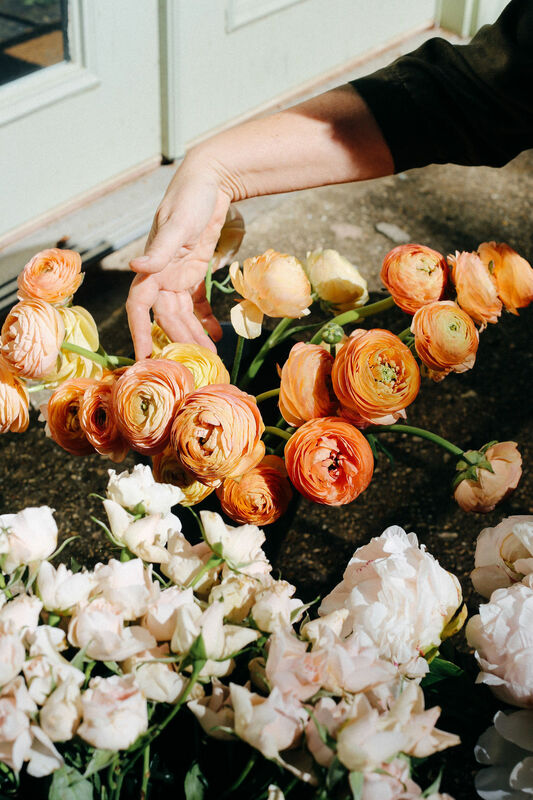 Which fresh blooms last the longest? Ah, great question and the answer really depends on your locale. It can be a bit more challenging in Texas than in some of the more garden states, but I want to believe it is still possible here as well. I think a staple for any garden is an heirloom rose bush. 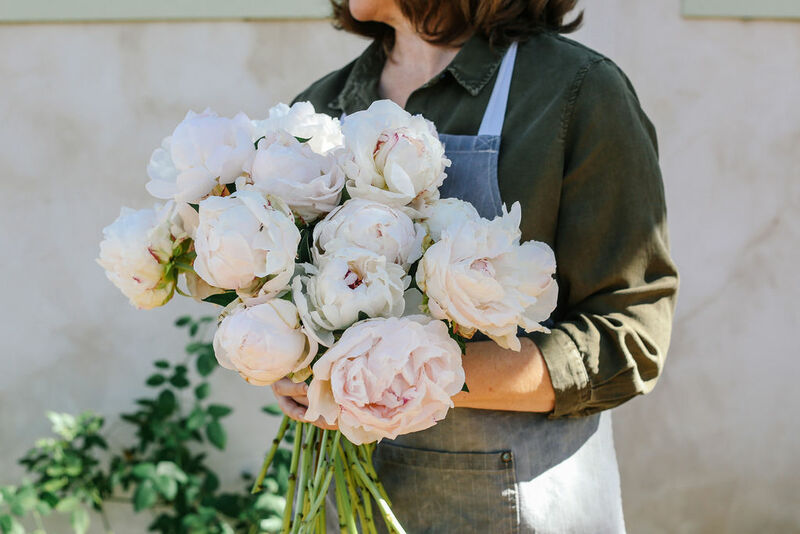 While these may not produce large blooms, a single bloom in a small vase or bottle can achieve the effect you are after. Staples in the Texas garden are usually zinnias because they can handle our extreme heat. And they can now be found in more subtle colors and ruffly shapes as well as the usual bright ones. Irises do well here in the garden as they usually bloom when it’s a bit cooler. There are some wonderful old varieties; however, they do not necessarily last long once cut. If I lived in a cooler place, I would have an abundance of sweet peas, dahlias, tulips, snapdragons, poppies and, of course, peonies. And I have known some experienced gardeners that were able to pull some of these off here as well. This was so interesting to read. Her flowers are gorgeous. 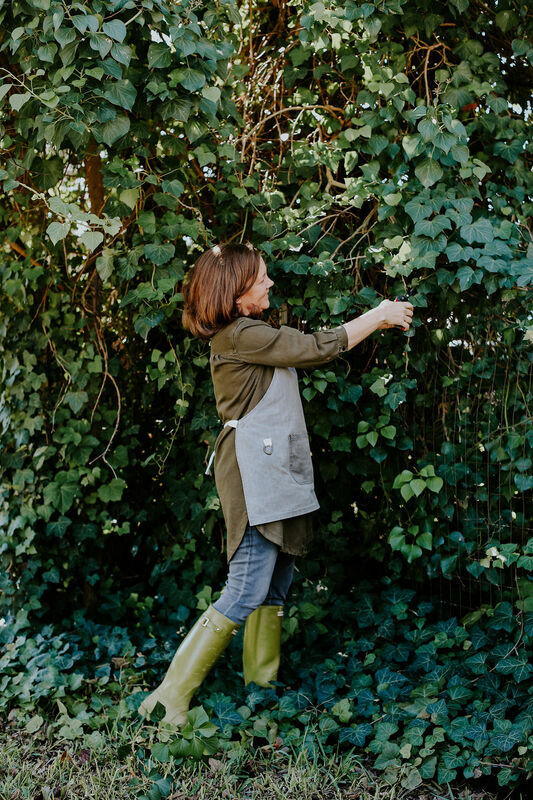 There is a florist herem Passion Flower Sue, who we use for photo shoots and Instagram is also her portfolio. Aren’t they gorgeous? I love hearing the behind the scenes real details of people starting and running successful businesses, especially around their passions.